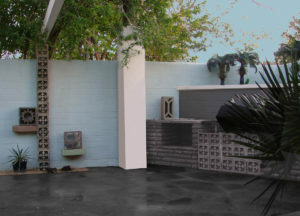 Uncle Jack's Very Vintage Vegas – Mid Century Modern Homes, Historic Las Vegas Neighborhoods, Las Vegas History and Urban Living by Jack LeVine – The Most Hidden Treasures of Vintage Vegas are our backyards! Very Vintage Vegas is holding a contest! We want the world to see our great backyards in the historical district. Many of you have spent countless hours and money to create some great backyard paradises. I want the world to see them! Do you have a cool backyard? An interesting backyard feature? Great back yard landscaping? You could win a dinner for two at the Las Vegas famous Chow restaurant. Get the details and enter the contest on our Very Vintage Vegas Facebook Page.